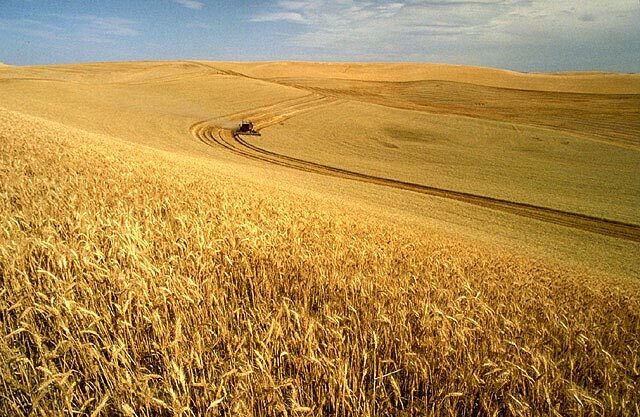 I was intrigued by Andrew Torrance's interesting post, Synagriculture, where he writes that "agriculture stands on the verge of another technological transformation." Synthetic biology is new to me, and I will explore both the article cited and other information about this new technology. "Synthetic biology seeks to purge biology of some of its fundamental inefficiencies through the rigorous application of engineering principles. Rather than tinkering around the edges, biological engineering would remake living organisms from first principles, and employ standard parts to make qualitatively new biological devices and systems." My immediate reaction could best be described by the image of a teacher that has just learned that a group of three year olds from the local preschool had figured out to unlock the door to the chemistry lab. This response was in part triggered by news of another article that was published this week that confirmed my longstanding belief that as adults, we continue to share three important characteristics with three year olds: 1) we know a lot of things; 2) there are many things that we don't yet understand; and, 3) we do not fully appreciate the shortcomings of our understanding. Please note that I offer this observation with the greatest respect for the third year of life. 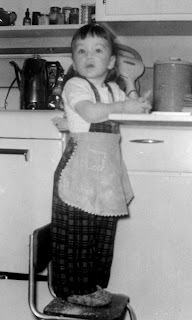 In my past life as a Montessori Directress, the three-year olds were often my favorites. They were anxious to learn everything, just as anxious to communicate all that they knew, and they were delighted with their new found independence. All of this gave them a confidence that was both inspring and often completely misplaced. 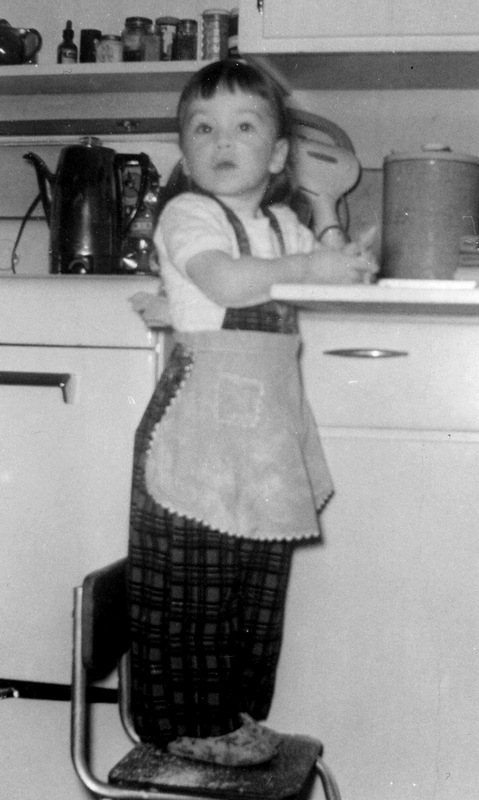 Pictured here is me, at three years old, when I was certain that I knew everything about how to bake. 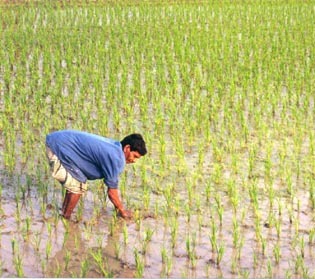 But, back to agricultural law. The article that I reference is, How Tomatoes Lost Their Taste. 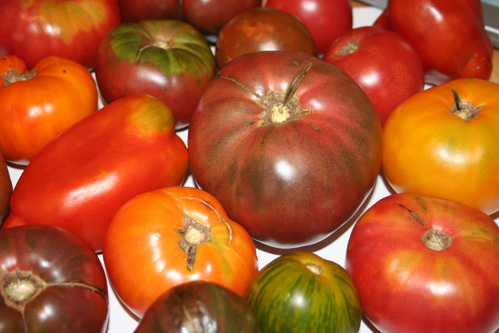 It explains that we have been breeding tomatoes for decades in order to get rid of the "green shoulders" of older breeds, breeding for nice, uniform tomatoes that ripen all at the same time. Unfortunately, a new study indicates that the green shoulder may in fact have boosted the sugar content, and thus the taste, of the tomatoes. Little did we know we were specifically breeding tomatoes that would not taste as good. Now, admittedly, there were reasons other than taste behind our efforts - mass production with uniform maturity, shelf life, transportation stability, etc. But, key is that we did not know that what we were doing was running counter to the goal of producing a tasty tomato. It was an unintended consequence. One could read this study as a testimony to what we are now able to learn through genetic testing. But, what we have learned is that we screwed up. I fully support research, experimentation, and scientific analysis. We will need every bit of scientific understanding we can muster to address and mitigate the coming changes in the climate. I suggest, however, that we undertake our science with humility. We only know a very little bit about the natural world upon which we depend. We are learning more every day. But, we are not ready to remake it or to disturb it in ways that we can not undo when we find out about the unintended consequences of our actions. For more on the tomato research, check out How The Taste Of Tomatoes Went Bad (And Kept On Going) on National Public Radio.